and left without meeting him face to face. as they connected us intravenously together. was saving his life by relinquishing their blood to him. of one who is running through a dark tunnel. my blood so red entered his veins and I was glad. were pleased with my contribution of drops by the drip. I too fell asleep because of the loss within my veins. one with him ─ one flesh ─ one blood. ─ as the colour returned to his face and body. 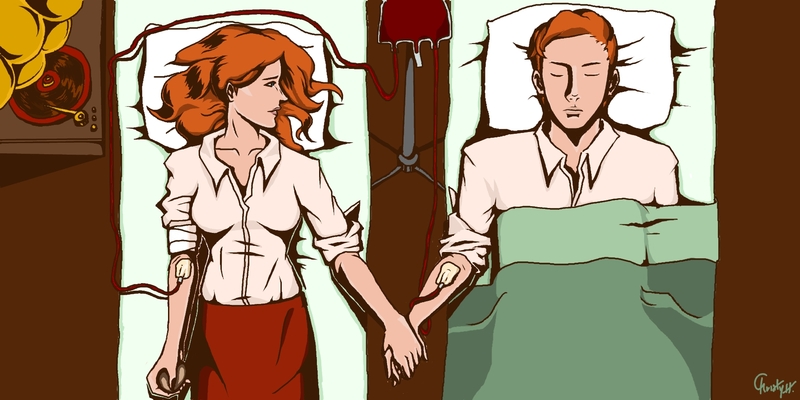 the one to whom I donated my precious reviving blood. who will soon forget me. and therefore in death too I shall live. Very beautiful and intense. Loved this! This was breathtaking- I wish I’d written this!